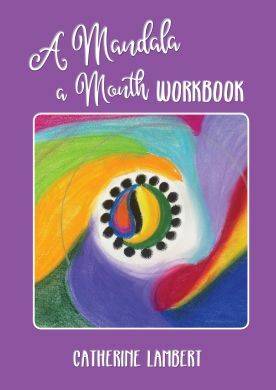 As many of you will be aware, this year I released "A Mandala a Month Workbook". I am gifting myself another copy for Christmas to work through in 2019. In many ways, this book achieved what I was hoping - except one. The inspiration for this book came from a program I ran in 2013 where people met together each month and shared their experience. A small group also registered online. These people would send in a picture of their mandala each month with a few words and I would add them to our dedicated website. It was wonderful to share with others as we worked our way through the year with our mandalas. I was reminded of this recently, as I received an email from someone who had completed the first mandala in their book. It included a picture of the mandala they created and a reflection on the process and what it means to them. It was such a joy to receive. The importance of sharing the journey with someone was highlighted again. It is one thing to engage in spiritual practices for ourselves, but in sharing this with someone else I find the value is increased for ourselves and benefits the one with whom we share. Please feel free to share your mandala experiences with me by emailing deepwaterdwelling@gmail.com or if there was enough interest, I could launch a private group page where these reflections and pictures could be shared. Let me know your thoughts.